THERE’S GOOD NEWS for Irish people heading overseas on holiday. From Monday, the cost of using your mobile phone in another EU member state will fall, as the European Commission lowers the maximum rates that networks can charge customers for roaming. The price of making a call will fall from 29c a minute to 24c a minute, while the cost of receiving a call will fall from 8c to 7c a minute. The cost of sending a text message also falls, from 9c to 8c. The biggest fall, however, comes in data downloads – a service which can leave many smartphone users facing massive bills if they want to read emails or browse the web while away. Currently users can be charged 70c per megabyte of data they receive – which can mean paying well over €1 simply to receive a high-resolution picture message, or check a location on a maps app. From Monday, this will fall to a maximum of 45c per megabyte. All of the above changes also apply to Croatia, which officially joins the European Union as its 28th member state on Monday. A European Commission spokesman said this could cut roaming costs for visitors to Croatia by 93.5 per cent, as visitors would previously have been charged €7 to download a single megabyte of data. All of the above prices exclude VAT, which is levied at 23 per cent on Irish mobile bills. The prices are part of a phased reduction in roaming costs by Brussels authorities; further reductions are scheduled for summer 2014 when data prices will fall to 20c per megabyte, phone calls fall to 19c a minute to make and 5c to receive, and text messages fall to 6c. However, the Digital Agenda commissioner Neelie Kroes has urged member states to agree to expedite this process – hoping that a deal will be in place to abolish roaming charges altogether by the time the next European elections are held in May 2014. Email “Good news, holidaymakers: Roaming costs will fall from Monday”. 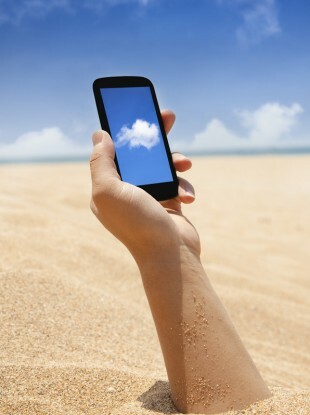 Feedback on “Good news, holidaymakers: Roaming costs will fall from Monday”.